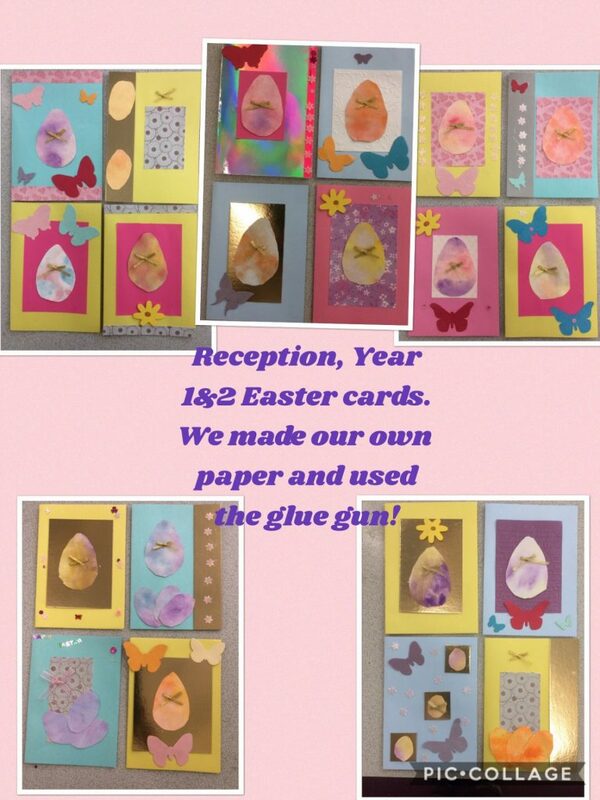 Here’s a quick peek at the Easter cards we made this morning. We mixed paint, made our own paper, cut shapes, measured, chose complimentary colours and used the glue gun! What a busy day.